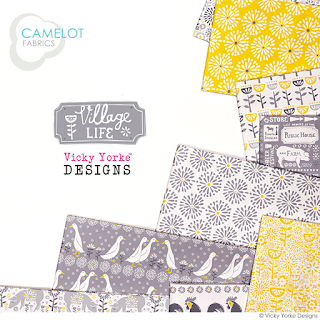 I’m so excited to share with you that my second fabric collection for Camelot Fabrics has launched on their website. ‘Village Life’ is a particularly special collection for me because it’s inspired by my home in semi-rural Worcestershire, UK. 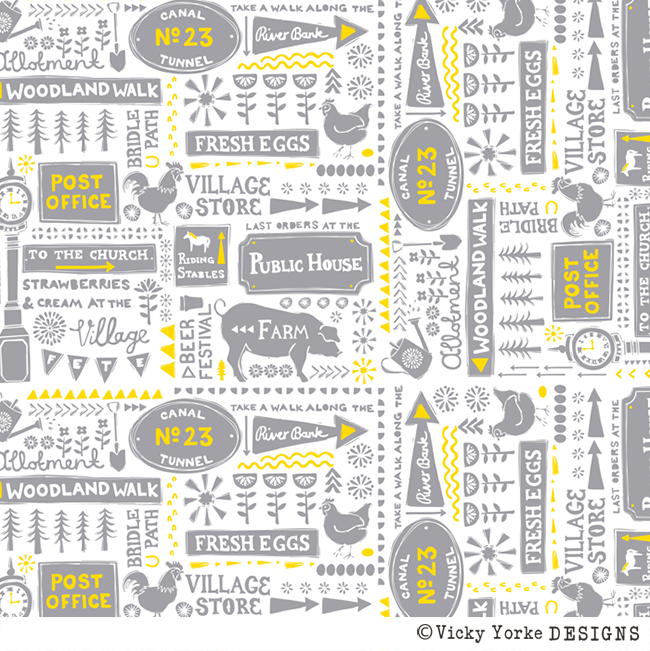 Typography patterns aim to reflect the community spirit of the village and even feature the clock at the village centre. 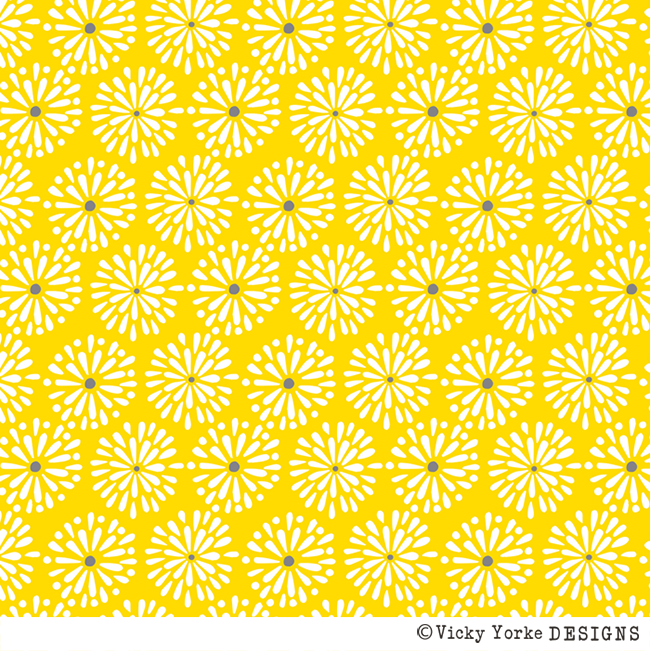 "Let the sun shine in! 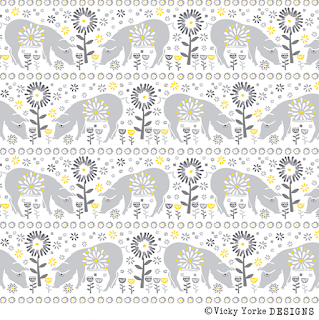 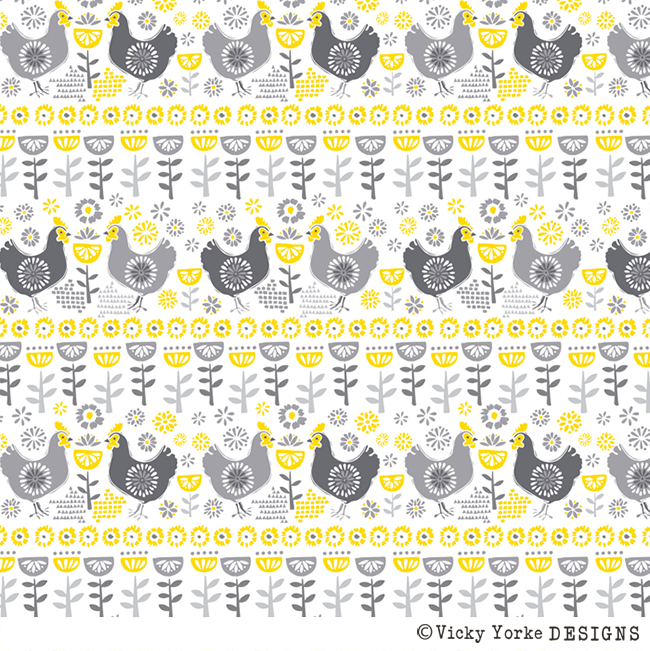 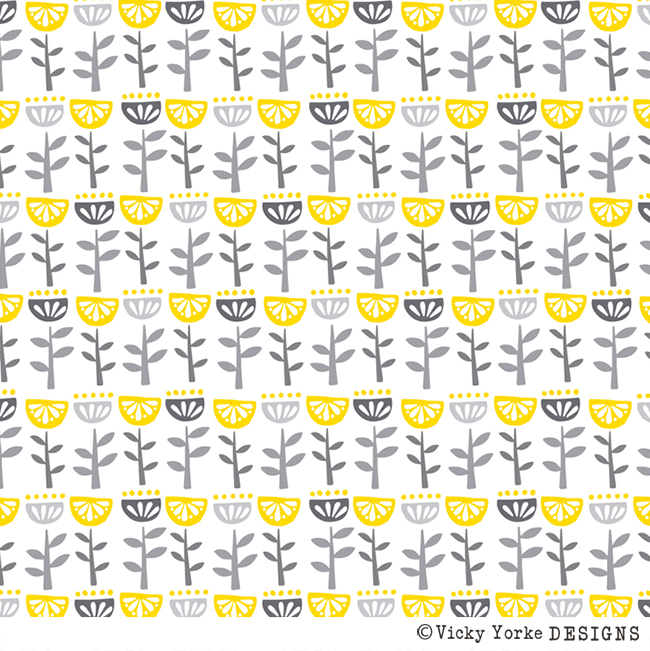 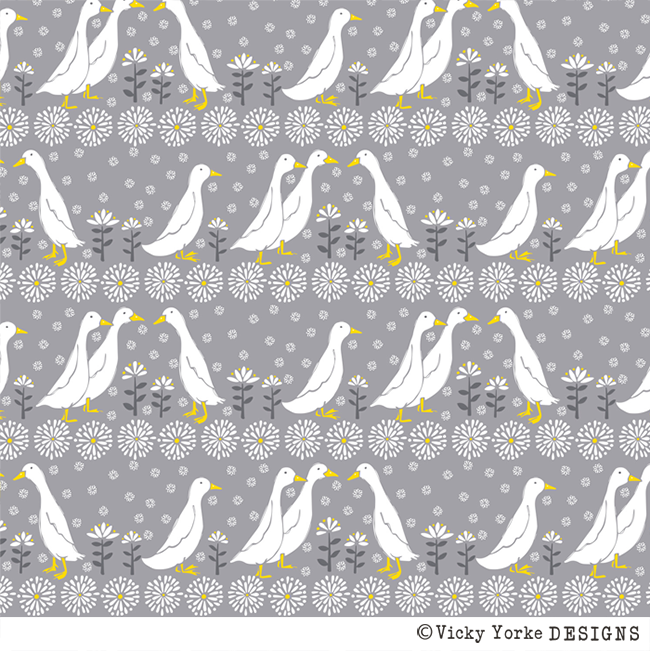 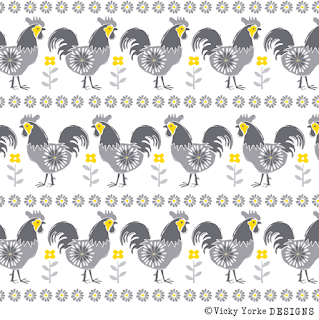 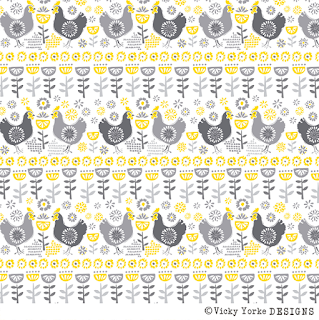 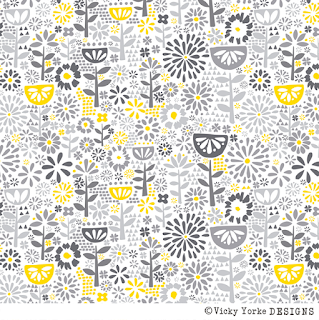 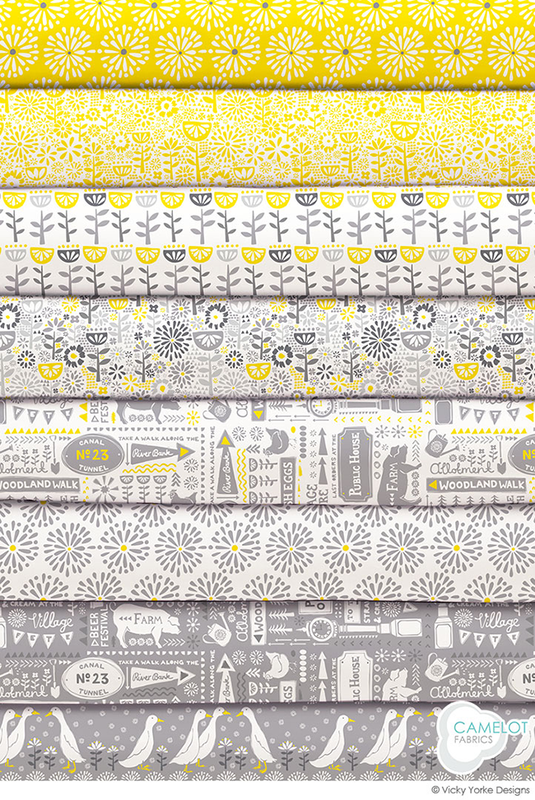 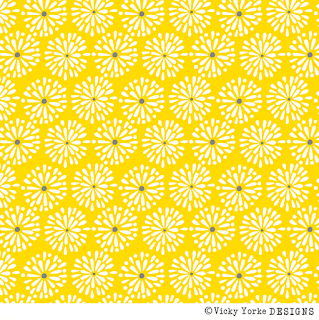 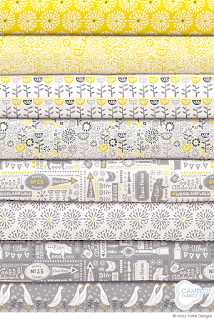 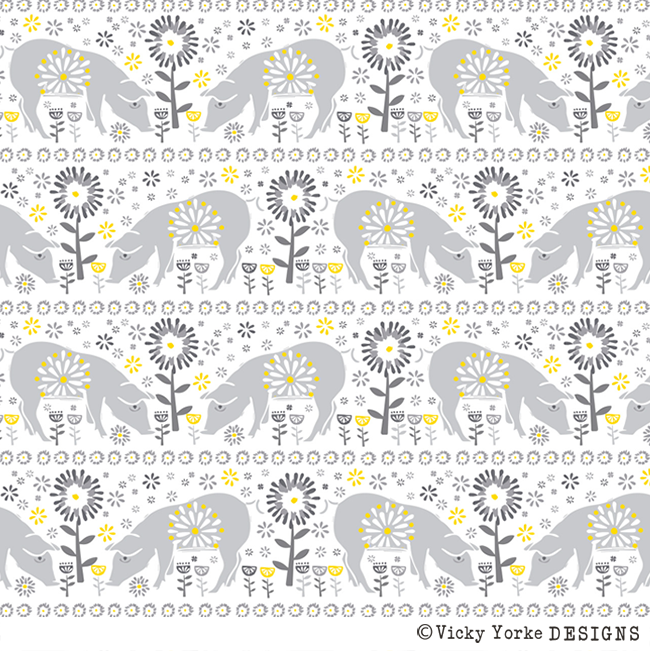 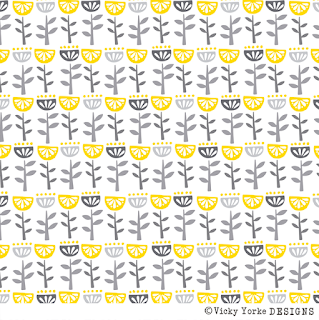 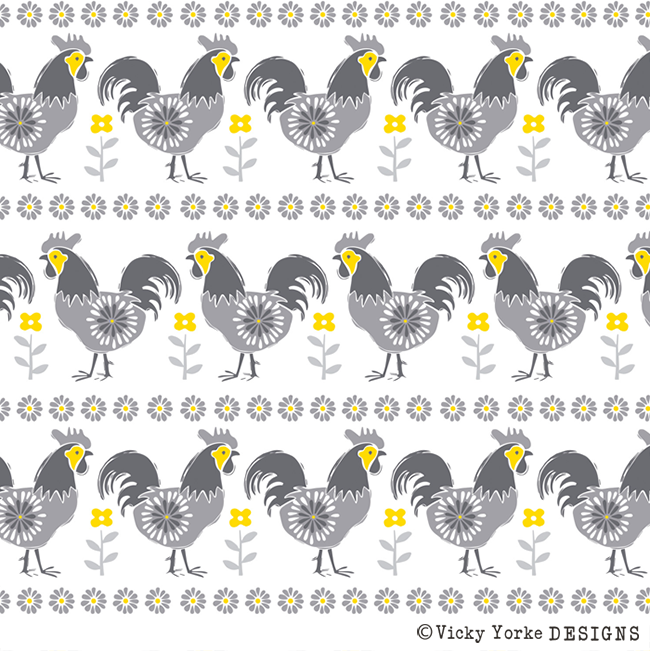 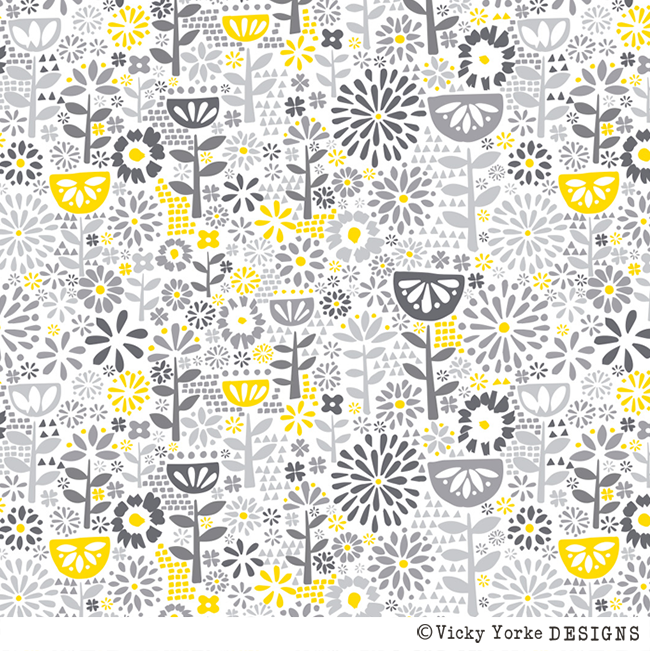 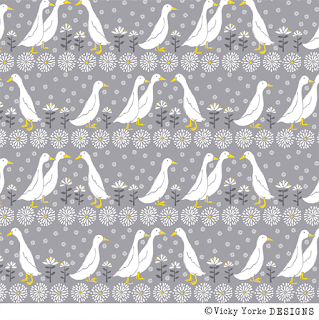 Vicky Yorke’s sophomore collection is about as charming as it gets with sunny yellow flowers, roosters, geese and pigs. 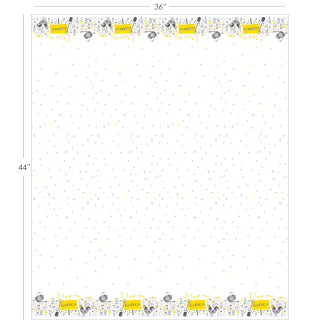 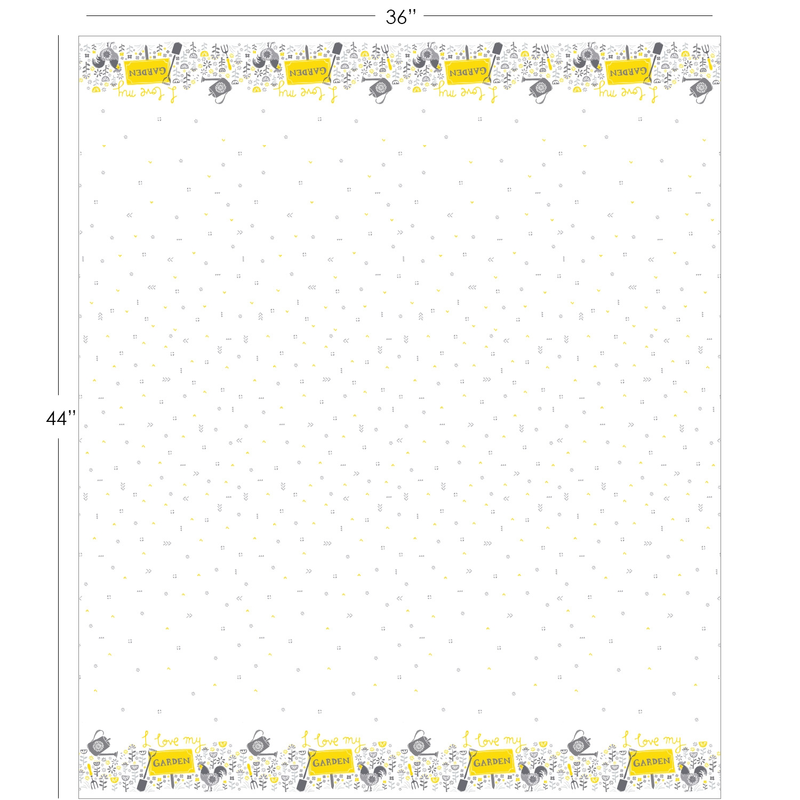 The show-stopper: an edge-to-edge “I love my garden” border print." 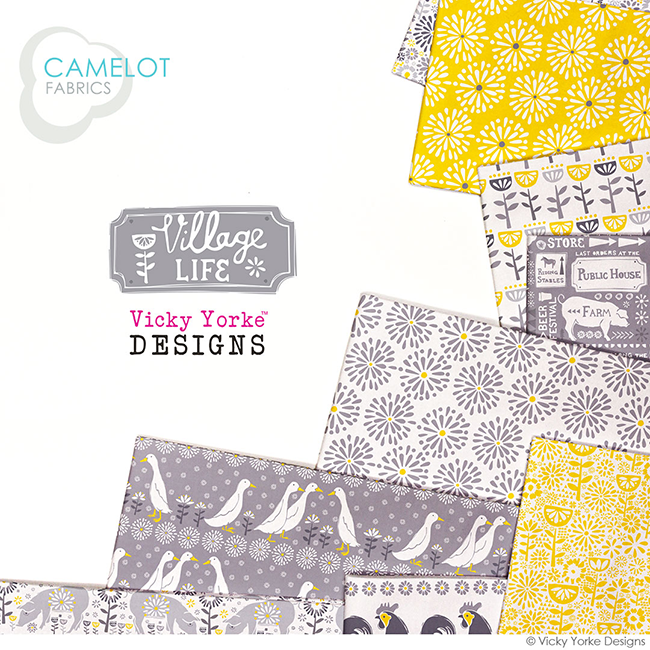 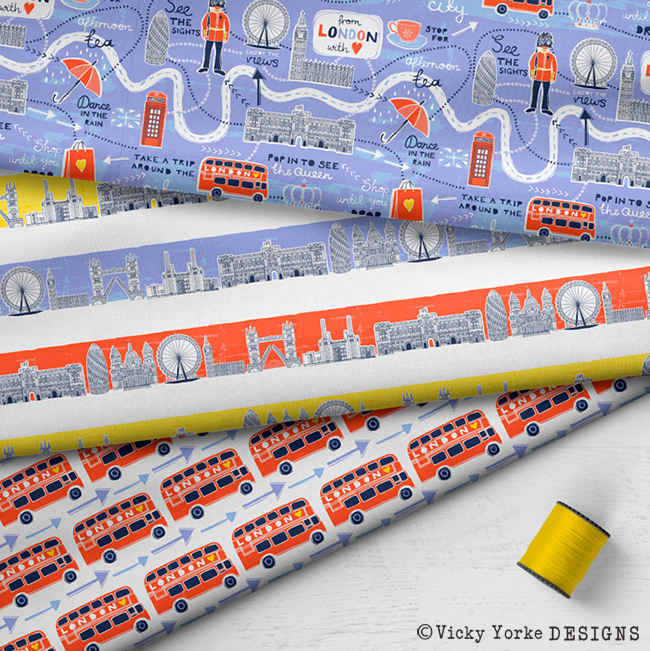 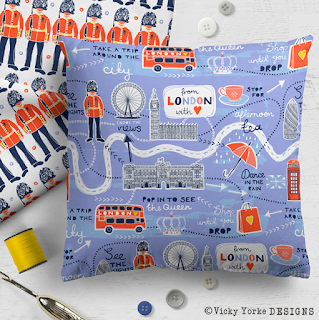 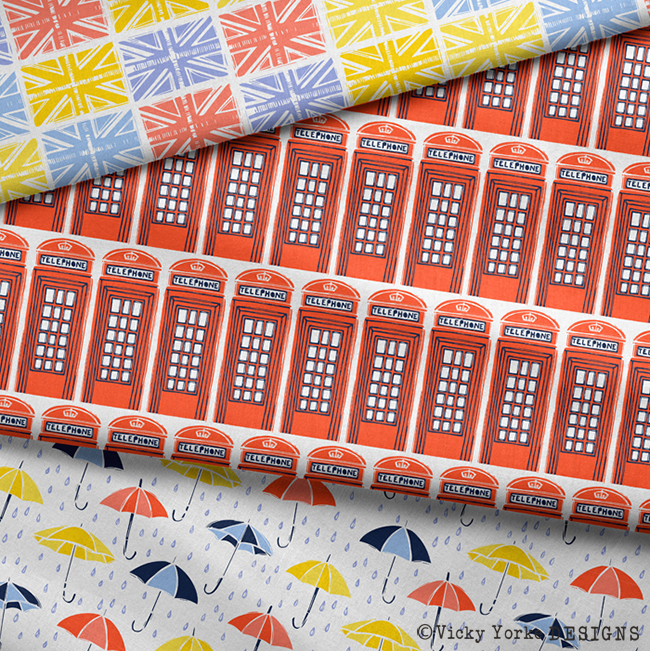 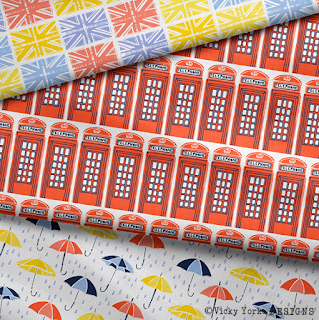 I’m also delighted to announce that Camelot will be taking 'Village Life' and my first collection, 'From London With Love' to Quilt Market in Portland, Oregon from May 18-20, so if you are heading to the show please stop by and take a look!